Quick-disconnect brackets make it easy to attach and remove your StowMaster tow bar. Call 800-298-8924 to order Roadmaster accessories and parts part number RM-221 or order online at etrailer.com. Free expert support on all Roadmaster products. Guaranteed Lowest Price and Fastest Shipping for Roadmaster Tow Bar Quick Disconnects - Tow Bar Side Only. Accessories and Parts reviews from real customers. Quick-disconnect brackets make it easy to attach and remove your StowMaster tow bar. Today we're going to take a look at the Roadmaster tow bar side tow bar quick-disconnects. Now, these quick-disconnects will allow for a quick, easy one person connection and disconnection of your Roadmaster car-mounted tow bar. 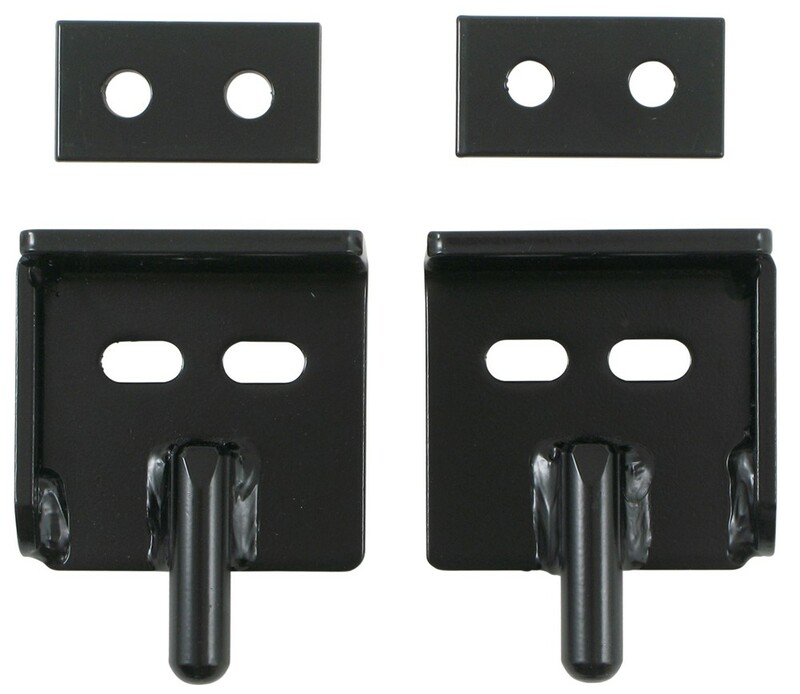 These are designed to attach to the tow bar crossbar on the tow bar assembly, and this set will include this two tow bar side components only. Now, to complete your quick disconnection. you do need to have the car side quick-disconnects. I did happen to pull one of those just to show you what they look like. We do sell those separately on our website. 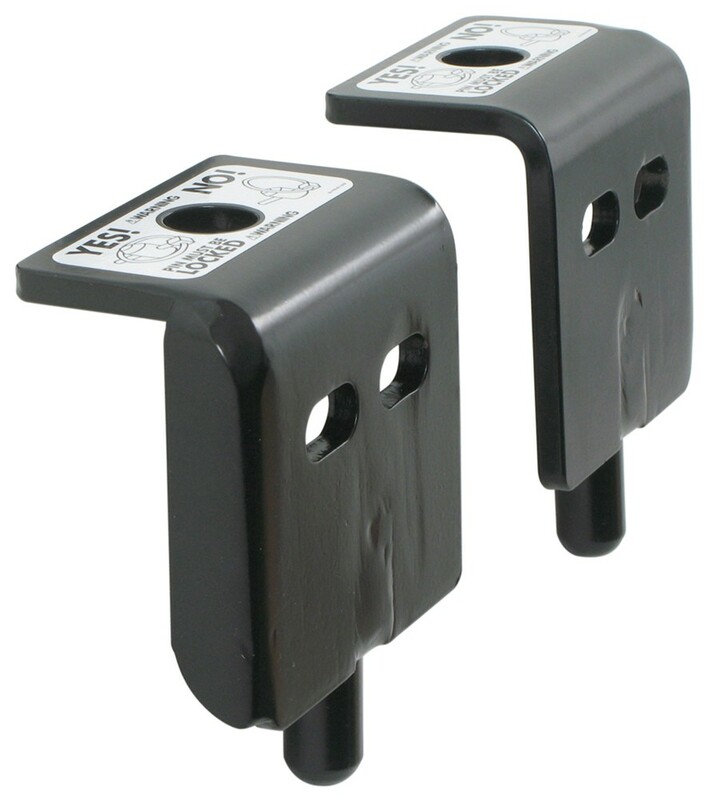 This is a part number RM222.Basically, this would be attached to the tow bar brackets on your vehicle, so you just take your pin out of here, and then these tow bar side ones will be connected to your tow bar. You just drop that in there over the pin like that, and then you put your winch-pin in there to hold it into place. Then, to disconnect it, you just remove the pin and just disconnect it like that. And again, the car side quick-disconnects, we do sell separately on our website. Now the hardware, you can see the mounting plates are included, and the two tow bar side quick-disconnects, and they do have a driver side and passenger side assembly, and that'll be dictated by this gusset that's on the side here. And again, it comes with a nice set of detailed instructions on how to install it and how it operates. But that should do it for the review on the Roadmaster tow bar side tow bar quick-disconnects. Order: RelevanceNewestRating - High to LowRating - Low to High Quick-disconnect brackets make it easy to attach and remove your StowMaster tow bar. Do you have a question about this Accessories and Part? Is the Roadmaster Quick Disconnect Base for Falcon 5250 Tow Bar Available Separately? It looks like you have a car side in the picture. You can get a set of replacements using # RM-222. I would recommend replacing both so they wear the same. And for reference the tow bar side is # RM-221. The individual left and right sides are not available by themselves. It sounds like you are asking about the Roadmaster Quick Disconnects # RM-222. This lets you easily connect and disconnect your StowMaster, StowMaster All-Terrain, or Falcon All-Terrain tow bar. 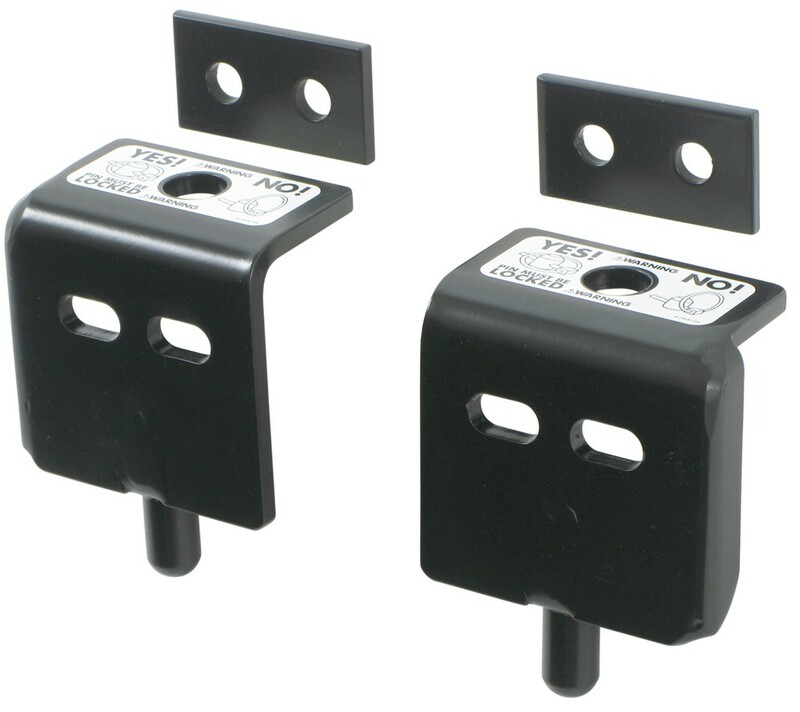 The tow bar side quick disconnects you may be looking for is part # RM-221. These can be purchased separately or they can be purchased as a kit. You would just need part # RM-201. 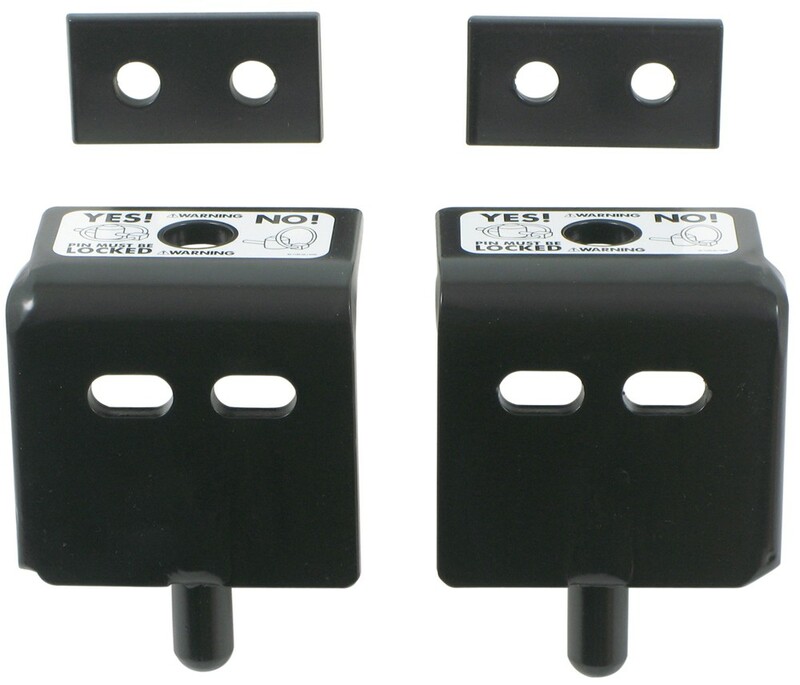 If you are missing the tow bar side of the quick disconnect, then the # RM-221 would indeed be the correct part. If you needed the whole QD assembly, you'd use part # 910021-00 or for the QD assembly minus the crossbar, you'd use # RM-201. If you needed the tow bar side quick disconnect and the crossbar, you'd use # RM-067. Which holes are you referring to on the Roadmaster Tow Bar Quick Disconnects part # RM-221? The top hole that the stud slides into is 1" diameter but the two oblong holes on the front are 1" wide x 1/2" tall which you can see in the attached photo. Please let me know if you have any other questions. These tow bar disconnects are for the tow bar side only. If you need the vehicle side then you will want to use the Roadmaster Tow Bar Quick Disconnects part # RM-222. Highest quality accessories and parts for the best price. Most detailed, accurate accessories and part information available. You folks are fast. Thank you very much.